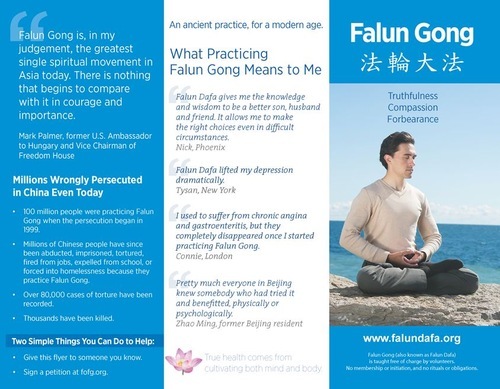 A new Falun Dafa flyer has been published by the FalunDafa.org website. The flyer is printed on letter-size paper in full colour, and is folded in a tri-fold fashion. - True health comes from cultivating both mind and body.